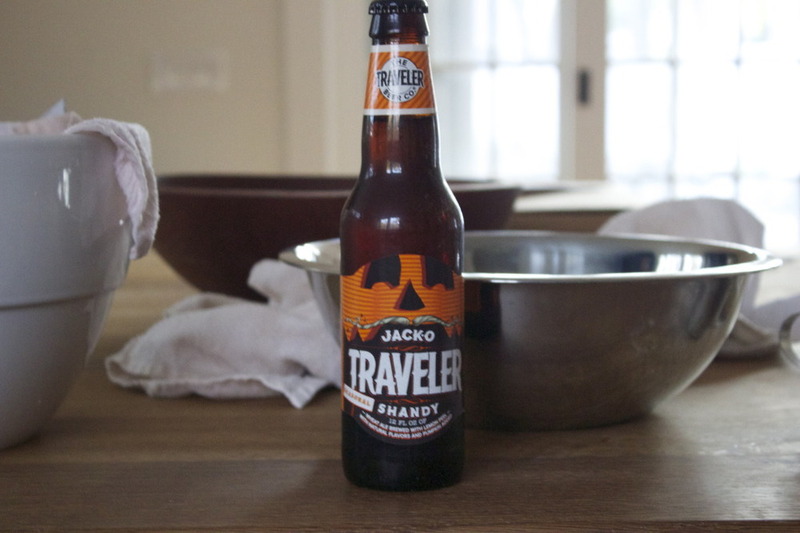 Halloween pizza dough with beer, its a treat not a trick...I promise! While you may not realize it, tonight is not just about candy and costumes...it's also about pizza. A treat for adults and kids alike. Last night, while making my go-to no knead dough, I decided to mix it up. It was a crisp Fall night and Halloween excitement was in the air. I had Jack-O shandy in the fridge, so I grabbed two bottles. One for myself, and one for my dough. I substituted pumpkin beer for water, one bottle (350 grams) and proceeded with the recipe per usual. When I checked the dough this morning, it looked and felt great. The dough balls gave off an aroma of beer and is going to have incredible taste. Tonight, I have guests coming over for some trick or treating fun with the kids. Before we head out, we'll pop in the test kitchen and launch this beer dough onto a hot Baking Steel for some killer homemade pizza. I promise to report back next week, I already have a feeling that this is going to be crazy good. 1 pumpkin beer (350 grams) No water this time. 6. Pour in 350 grams (1 1/2 cups) or one beer, but measure not all beers are equal. On Friday I used the beer dough to make a pepperoni pizza, it was a hit. 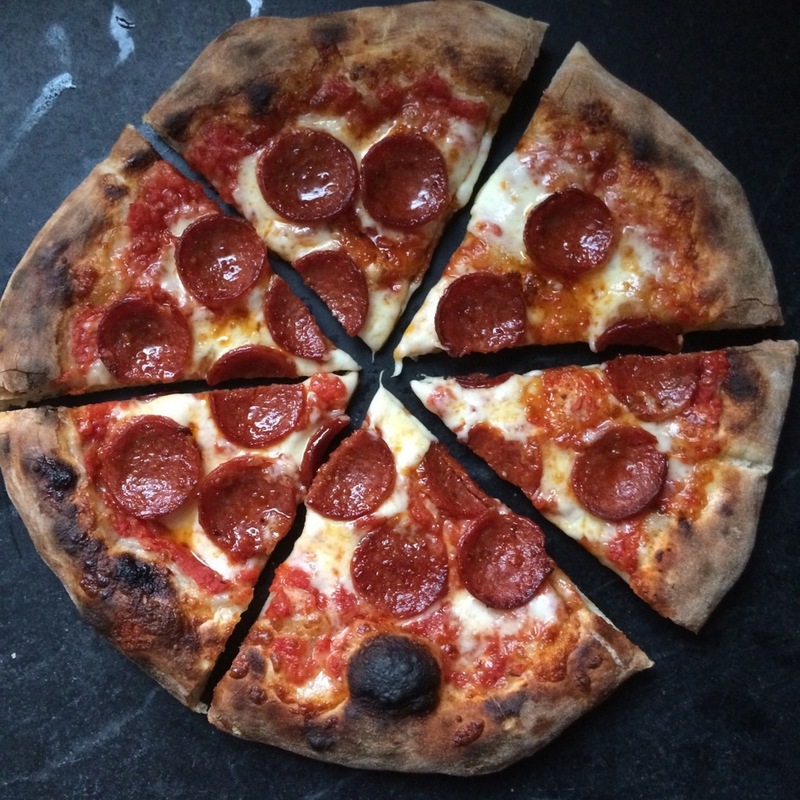 The pumpkin flavor was so evident in the dough, the pepperoni complimented the flavor making it a hearty pizza. Scroll down to check out our 3 day ferment results. Yesterday, after a 3 day ferment, I pulled the last pumpkin beer dough out of my fridge and let it rise. I wanted to see if there was any color or flavor change. 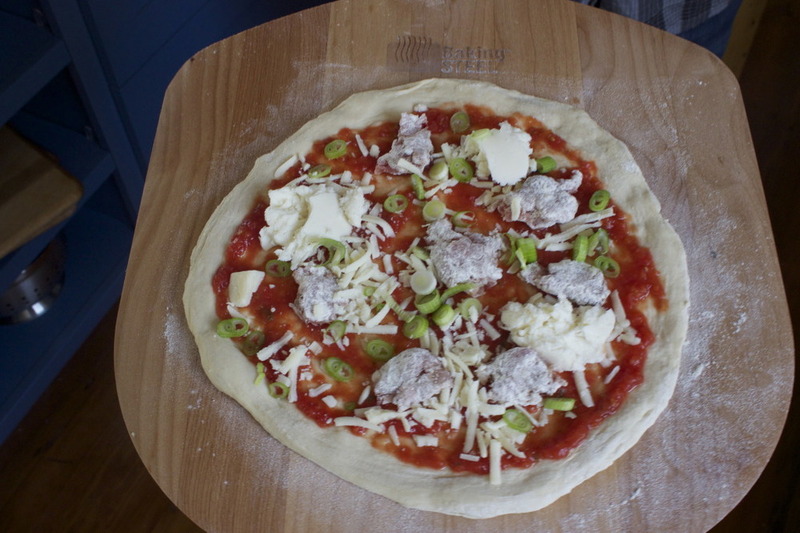 Using the beer dough, we made a chicken sausage, aged provolone, fresh mozzarella and green onion pie. Once again the pumpkin flavor was so present and even more powerful after its 3 day ferment. I was surprised to find that the color of the dough had not changed much. It was an interesting test that has me wondering about other liquid substitutions for our dough recipe. We will be doing more testing for sure, I promise to keep you updated-the good and the bad!